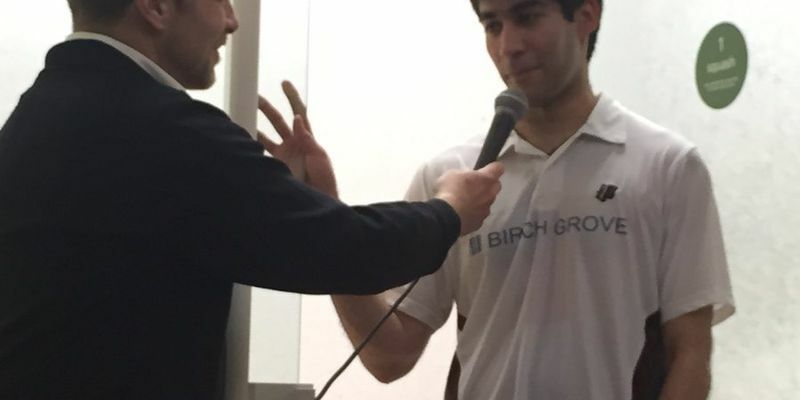 India's upcoming star Ramit Tandon, who is ranked 88th, clinched the Singapore open title by defeating the fifth-seeded James Huang 11-3, 11-6, 11-3. He turned many heads after he caused a major upset in the semi-final by defeating the top seed Henry Leung of Hong Kong to pave his path to the final. India's Ramit Tandon, who had been making waves in the Singapore Open, a PSA World tour event, capped his good show by winning the title, his career second on Sunday. His previous title-win came in May this year in the SYS Open, in Southampton, USA. The 88th ranked Indian, who is seeded six had caused the biggest upset of the tournament in the semi-final by beating top seed Henry Leung of Hong Kong, went on to grab the title by beating fifth-seeded James Huang of Taipei in straight games 11-3, 11-6, 11-3. Tandon needed just 32 minutes for this feat. The Indian was in top touch right from start and never allowed his opponent to settle down. Tandon was particularly strong on the frontcourt. Earlier he had carved out a comfortable 11-3,11-6, 11-5 win over Leung defying all odds and form book. His amazing show had come after he had retired from a Qatar tournament earlier with a twisted ankle. But he showed no strain while producing a show of master class, according to reports. Tandon had started the event with a comfortable 11-8, 11-6, 11-5 win over qualifier Benedict Chan of Singapore. A long drawn out battle followed against fourth seed Elvinn Keo of Malaysia next. The Indian won 11-7, 11-8, 2-11, 10-12, 12-10 to enter the semis. In the last four, he beat the Leung and now awaits fifth seed James Huang Taipeh for the title-clash.